Nokia delivers significant power in a compact format with its lineup of Flexi base stations. Keep your costs down with these smart units that are at home indoors and out, including options like the Nokia Flexi 10 Base Station that’s rated as the most energy-efficient base station on the market. Worldwide Supply can be your reliable partner with a large lineup of used and refurbished Nokia Flexi that are guaranteed to operate correctly and come in at a significant savings compared to OEM rates. Increase network capacity, efficiency and flexibility in the most cost-effective way possible by combining the high-capacity Nokia Flexi base station capabilities with leading price-savings opportunities provided by Worldwide Supply. Your network deserves it. 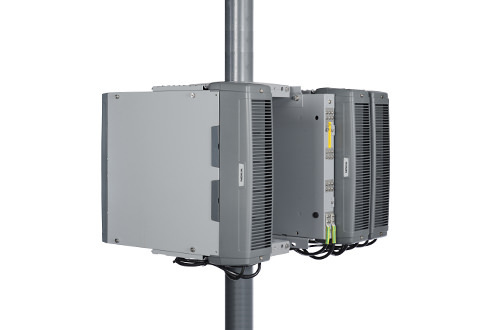 Nokia’s family of Flexi base stations include options to support a significant range of uses and network deployments. However, some core features and benefits remain across all models, including used Nokia Flexi units from partners like Worldwide Supply. Some of the more notable features include the mix of indoor and outdoor modules that don’t need a cabinet, cooling or specific shelter requirements. Plus, models feature RF and module custom configurations through simple software as well as uniform hardware for capacity sharing across a variety of radio technologies. The line has been in the field for more than a decade and proven itself to be reliable and consistent for enterprise networks. Build out at the right price by looking for refurbished and used Nokia Flexi options from partners like us.